At the start of the year I introduced a new staff benefit: one day off each month to get out and about exploring our beautiful county. Why? Because we want our guests to discover the very best of days out in Cornwall while they’re here with us on holiday. While the rest of the team have been braving all weathers to make the most of this opportunity and report back it’s typically taken me awhile to get out the door! The Hidden Hut is a rustic outdoor cafe overlooking Porthcurnick beach. I have read a lot about the café and seen many images so wanted to experience the location and food with family and friends. Having read so much about the Hidden Hut I expected the food to be authentic and flavoursome and it did not disappoint. The hut was not so much “hidden”. 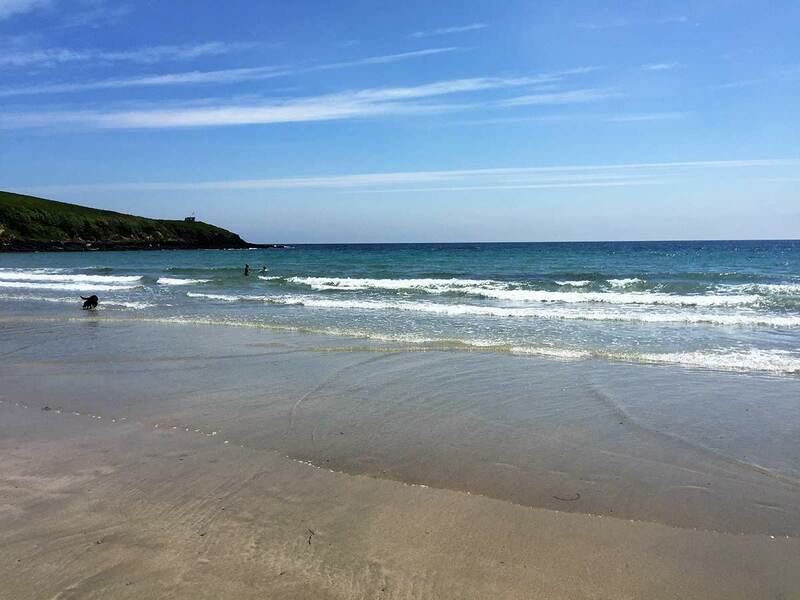 One of Cornwall’s apparent ‘best kept secrets’ has actually received quite a lot of media and social media attention, and turns out to be very popular! It was as busy as I expected it to be but this did not take away from the location, charm or experience of the place. But perhaps we’ll find a quieter time (midweek or off peak) to visit when we return. To be there with my family was a real treat, the boy’s (7 year old twins) even enjoyed the experience! I discovered them chatting to a freediver who was off on a dive and explained to them what he was looking for, they loved the spear gun he had with him. This is a day out that will cover all ages and people with all interests. Beach, coast, food, countryside all rolled into one location it’s a great place to visit. And I was surprised how accessible the hut is from the beach car park. Basking in the early summer sun! ● It can get a bit windy down there so I would take a warm top just in case the sun disappeared. 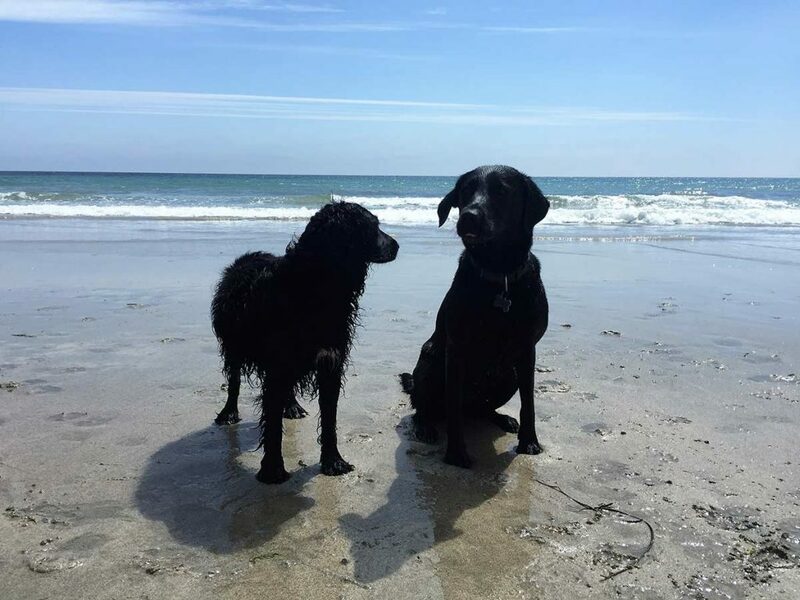 ● The car park at Porthcurnick is located on the top side of Porthscatho and can get quite busy, remember your change for the meter ● If you are bringing a dog with you there is a poop bin in the car park for you to dispose the inevitable extras. 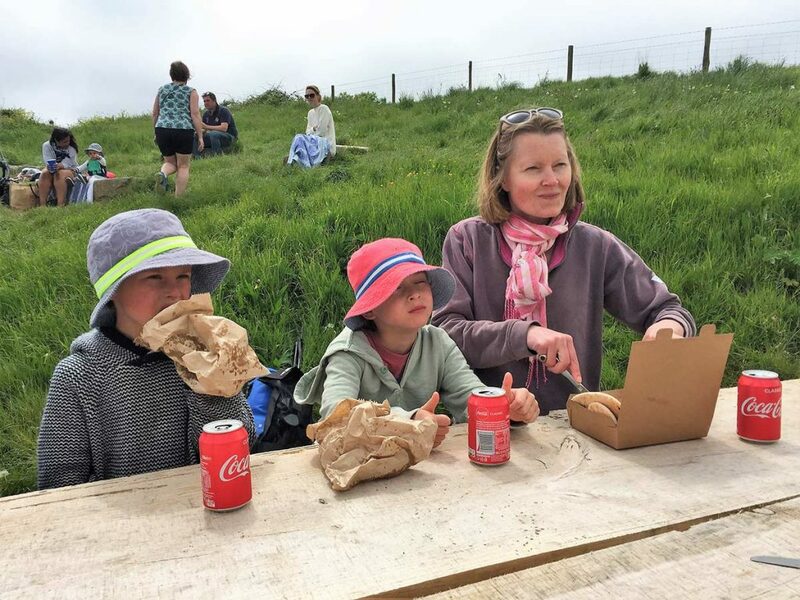 ● The walk down to the café is over a couple of fields on the coastal path so make sure you wear suitable footwear ● The walk is relatively level although there are quite a few steps to get down to the beach and a few steps to the café. ● The café accepts cards so you don’t have to worry too much about taking cash with you. ● Sun cream is a must and water if you have a dog. ● Get there early to get a good seat. ● If you are with kids bring your swim kit and some beach games. 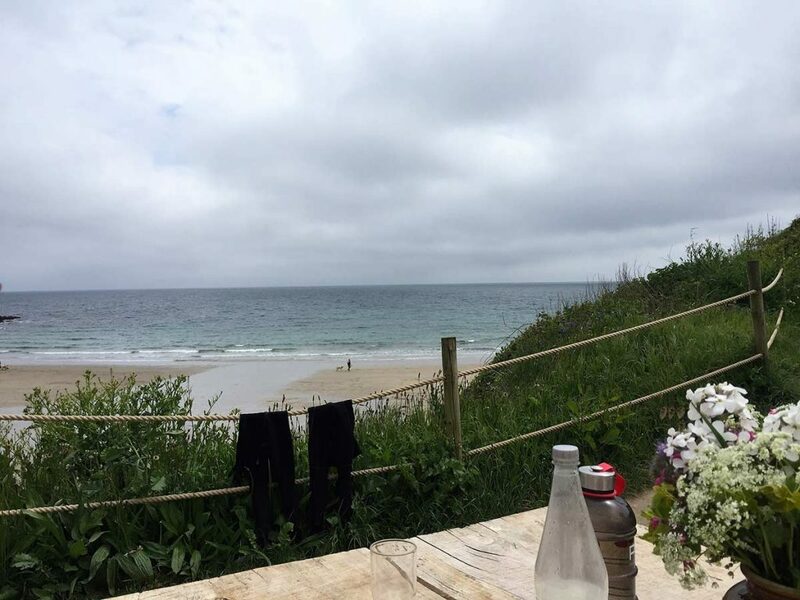 ● After you have had some lunch walk from Porthcurnick beach to Porthbean beach along the coastal path and stop off via the Porthscatho coastwatch station, which is manned by volunteers. 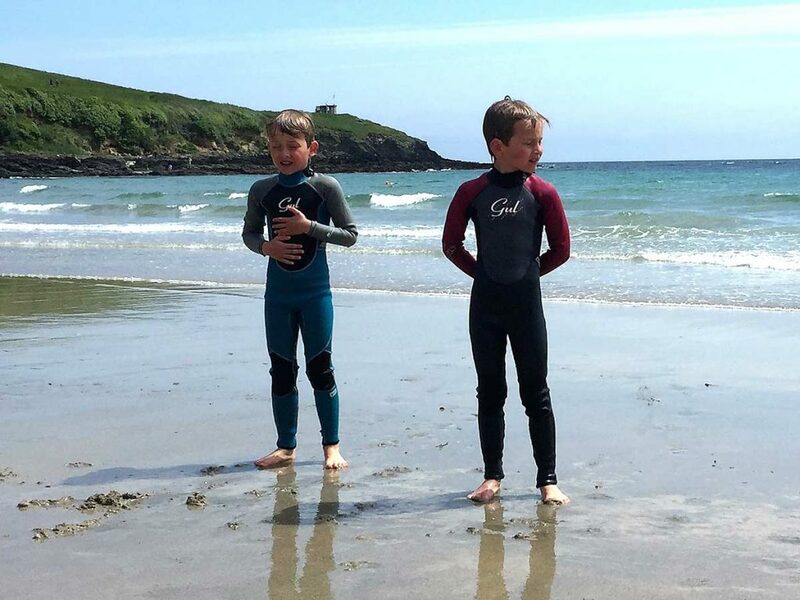 About the author: George is the managing director at Cornish Traditional Cottages and visited The Hidden Hut, Porthcurnick beach, Portscatho in May 2018.